Directors: Steve Nitch, Ph.D., ABPP-CN and Dominique Kinney, Ph.D.
Patton State Hospital’s Postdoctoral Residency in Neuropsychology is a two-year training program in neuropsychology that provides advanced training in the specialized practice of psychiatric neuropsychology in a forensic setting. 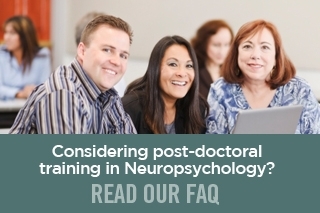 The neuropsychology residency program meets the requirements of the Houston Conference and is designed to prepare fellows for the board certification process in clinical neuropsychology through ABPP-CN. 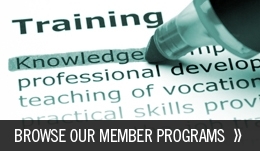 Although Patton is one of the few training sites in the country that provides in-depth training in psychiatric neuropsychology, the fellowship also provides training in traditional medical neuropsychology issues, such as traumatic brain injury, dementias, and a wide array of other medical conditions. As a function of the Patton patient population, neuropsychology fellows will learn to consider the interplay of neuropsychology, psychiatry, and forensic mental health issues with each assessment or treatment case from within the hospital. Emphasis on process model of neuropsychological assessment utilizing a hypothesis-testing approach. Seminars in Advanced Neuropsychology, Neuropsychology Research and Theory, and Case Conferences. In-depth training in the assessment of feigned cognitive symptoms. Policy regarding on-site interviews: On-site interviews are preferred, but video-conferencing interviews can be arranged for applicants who are unable to travel to Patton.